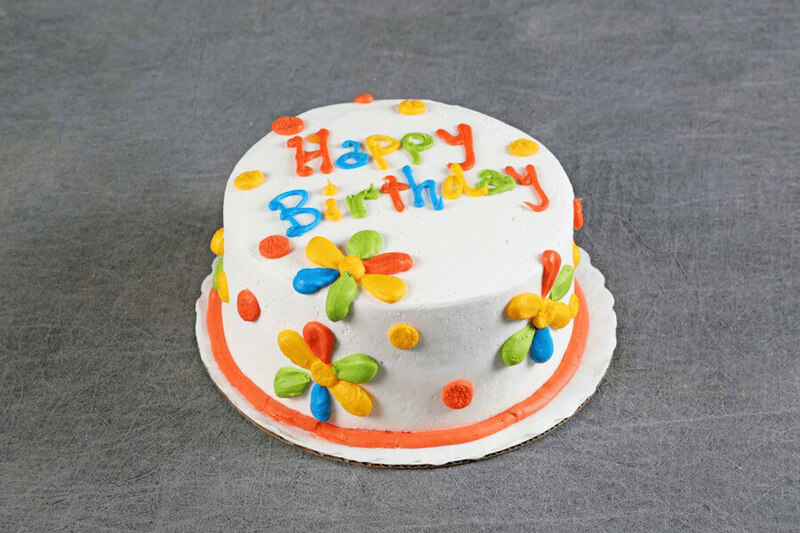 (8″ serves 8-12) Two layers of UltramoistTM vanilla cake, sandwiched and frosted in vanilla butter cream. Finished off with a festive Happy Birthday design. (8" serves app 12) Four layers of scrumptious UltramoistTM strawberry cake filled with 3 layers of our homemade champagne filling (no alcohol). Frosted in vanilla whip and poured fudge. (8" serves app 12) Four Layers of dark UltramoistTM chocolate cake filled to the brim with 3 layers of chocolate mousse finished with chocolate whip and then covered in white and chocolate sprinkles.